Port Sentinel may be a beautiful seaside tourist trap, but in the short time Jess Tennant has lived there, it has seen its fair share of tragedy. Tragedy that somehow Jess keeps getting caught up in. A schoolgirl from the town goes missing, leaving her diary behind and a lot of unanswered questions. Has she run away from her unhappy home or is there something much more sinister going on? And can Jess find her before it's too late? "Using part romance, part mystery, part family drama, Casey manages to develop multiple plots simultaneously in the Jess Tennant series. Jess is a character who is stubborn, tough, and headstrong but also has a soft side for those in need; she is, in fact, compelled to eliminate injustice. Jess’s distrust of authority is what drives her determination, and as it turns out, she is not wrong about the corrupt adults creating friction in her life"
Crime is a family affair for Jane Casey. Married to a criminal barrister, she has a unique insight into the brutal underbelly of urban life, from the smell of a police cell to the darkest motives of a serial killer. 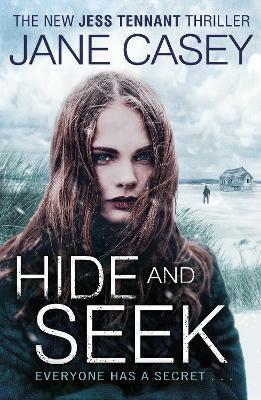 This gritty realism has made her books international bestsellers and critical successes; while D.C. Maeve Kerrigan has quickly become one of the most popular characters in crime fiction. Her novel The Stranger You Know won the Mary Higgins Clark Award and she has also been shortlisted for the Irish Crime Novel of the Year Award four times as well as the CWA Dagger in the Library Award.